LeBron has been rocking Beats since day one. 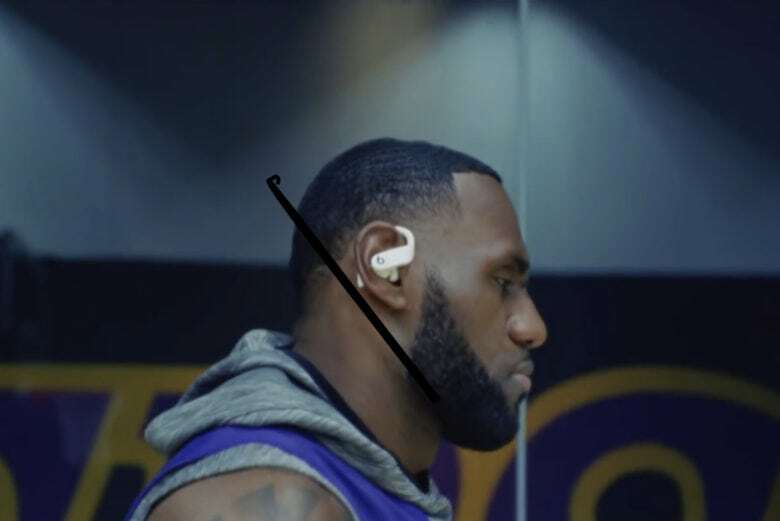 Some of the biggest names in sports can be seen rocking the new Powerbeats Pro in the latest video put out by Apple’s headphone company. Beats’ new ad unleashes the Powerbeats Pro everywhere from the basketball court to the skate park as superstars like LeBron James and Serena Williams train to dominate their respective games. With over a dozen athletes making a cameo, the action-packed ad has a lot to take in. How many familiar faces can you spot? The Powerbeats Pro were released earlier this month in four color options. Priced at $250, they pack a lot of the same features as AirPods only come with a sweat resistant design and have better battery life. Here’s the full list of athletes that made an appearance in the video above: Simone Biles, Anthony Joshua, Serena Williams, LeBron James, Eden Hazard, Owen Farrell, Ramla Ali, Zoe Smith, Ben Simmons, Odell Beckham Jr., Kevin Rolland, Leticia Bufoni, Miho Nonaka, Shaun White, Alex Morgan, Ruddy Trobillant, and Jasmine Perry.